Iranian officials say missile tests will continue, deny they are in breach of UN resolutions. Iran made clear on Sunday that it would continue its missile tests to build up its defenses and once again denied this was in breach of UN resolutions, Reuters reported. The statement came a day after US Secretary of State Mike Pompeo said that Tehran had tested a new missile capable of carrying multiple warheads in violation of the 2015 nuclear agreement. “Missile tests ... are carried out for defense and the country’s deterrence, and we will continue this,” Brigadier- General Abolfazl Shekarchi, spokesman for Iran’s armed forces, was quoted as saying by the semi-official Tasnim news agency. “We will continue to both develop and test missiles. This is outside the framework of (nuclear) negotiations and part of our national security, for which we will not ask any country’s permission,” Shekarchi added. 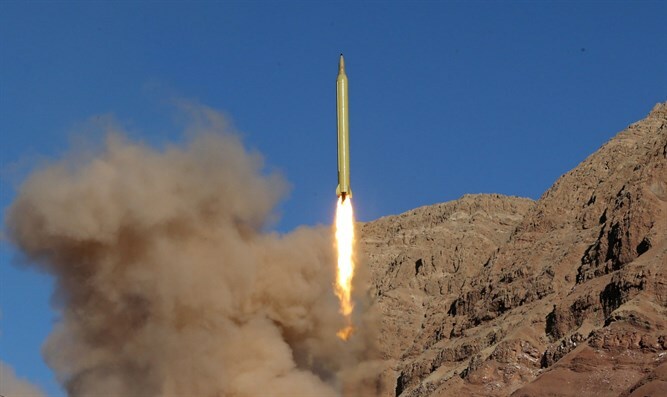 Prior to Saturday, the Islamic Republic had previously tested a ballistic missile last month, when it test-fired a Fateh-110 short-range ballistic missile from an Iranian Revolutionary Guard Corps base in Bandar-e-Jask in southeastern Iran. When US President Donald Trump left the 2015 nuclear deal last May, he cited its failure to deal with Iran’s ballistic missile program as one of the reasons for withdrawing. On Sunday, Iranian Foreign Minister Mohammad Javad Zarif took to Twitter to respond to the US accusations, accusing Washington itself of violating UN Resolution 2231. “‘Surrealism’ is now the US' modus operandi in its foreign affairs: While itself violates UNSCR 2231—and even threatens to punish those who don't wish to violate it in abiding with illegal US sanctions—it now falsely accuses Iran of violating the very SAME resolution. #Hypocrisy,” he tweeted.